Choir is far from the only music club available at Fyling Hall. Students often form their own groups, many of which enjoy considerable success locally. 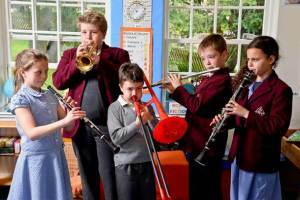 We also have an established wind group, and many of our pupils perform in Whitby’s ‘Saturday morning’ orchestra. The junior school also have their own choir and orchestra, who frequently take part in concerts both alone and with the senior school choir. Individual and group music theory lessons are also available by request.